oil on French linen, 50 x 60 inches. Keene, NH- The Art Department at Keene State College is pleased to present an exhibit of paintings by Robert S. Neuman. The works will be on display in the Carroll House Galleries from Sept. 5 – Sept. 30. Keene State faculty member Craig Stockwell has curated an exhibit of works by Robert S. Neuman who taught at Keene State from 1972-1990. Neuman currently works and lives in the Boston area. Neuman was born in 1926 in Idaho and began painting as a student after serving in the Air Force during WWII. He began teaching in 1952 and subsequently taught at several universities including Brown, Harvard and Keene State. He has shown widely and has work in major museums and private collections. He is represented by Allan Stone Gallery and Sunne Savage Gallery. He was the very first artist to exhibit at the prestigious Pace Gallery in NY, which recently celebrated their 50th anniversary. He has been the recipient of Guggenheim and Fulbright fellowships. 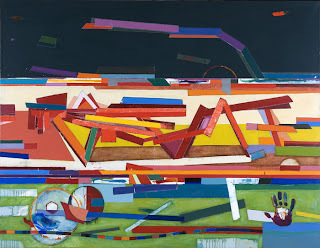 Robert S. Neuman is an abstract painter who has worked through a variety of approaches to different questions about painting. He usually works in extended series in which a particular motif is explored. 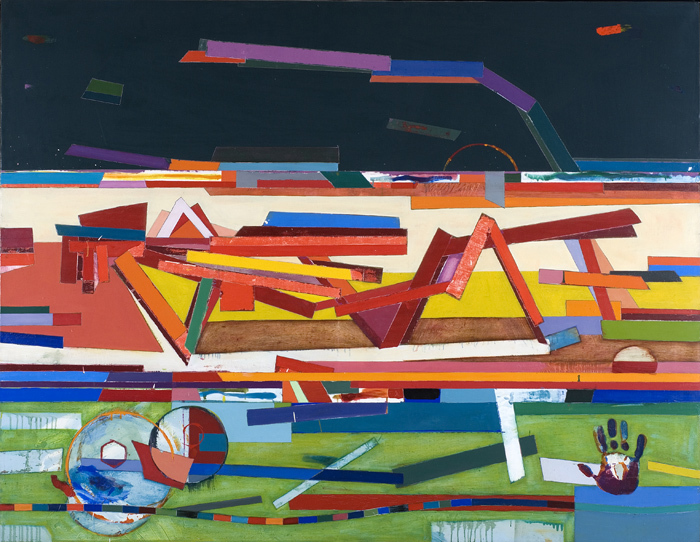 His work has an ability to combine precise hard-edge geometries with bold physical gesture and studied primitivism. His use of color is both intelligent and bold. In this exhibit there will be a selection of works dating from 1961-1987. There will also be included several works by former students of Neuman’s, who wished to pay tribute to their much admired teacher.